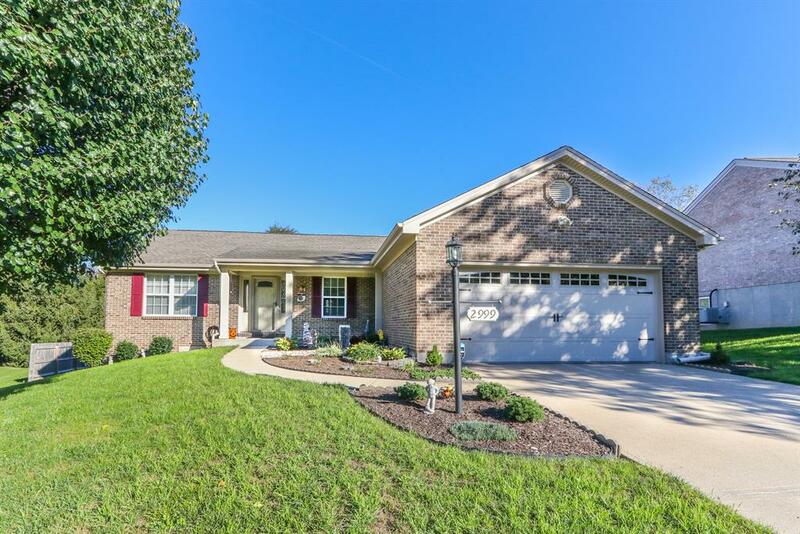 Immaculate, one owner brick ranch! Fully equipped kitchen boasts beautiful back splash, granite, & SS appliances. Gleaming hardwood floors in most rooms on the 1st level. Soaring cathedral ceilings & fireplace enhance the great room. Popular, split bedroom floor plan + 1st floor study w/ french doors. The master suite includes wood floors, adjoining bath w/ double vanity, & large walk in closet. Featuring newer mechanics & roof + maintenance free exterior. Finished lower level offers oversized storage/shop area & extra wide walkout. Enjoy the wooded views from the newly stained covered deck! NOTE: This property was sold on 12/17/2018 and is no longer available. The details listed below are believed accurate to the date of the sale and are subject to change.